Phil Ivey, John Juanda, and Chris Moneymaker headline those absent from the 2015 World Series of Poker. The 2015 World Series of Poker has reached the halfway point in terms of events, as Event #34 on the 68-event schedule kicked off today. While there's been a lot of big victories and interesting stories to come from inside the walls of the Rio All-Suite Hotel & Casino, there's also been some notable no-shows. 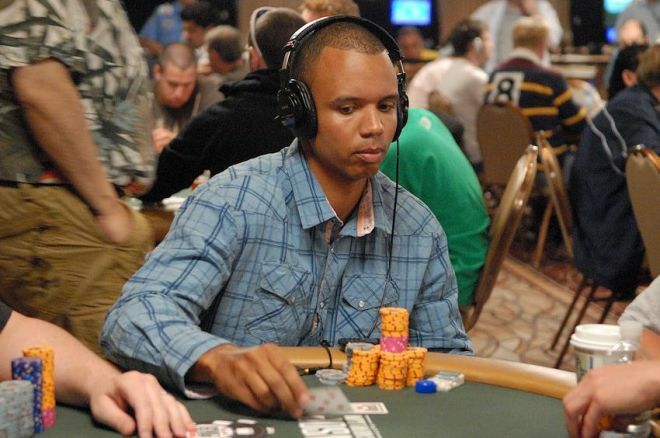 The first name that pops into everyone's mind is Phil Ivey, who has yet to make an appearance at this year's Series. According to Dan Fleyshman, Ivey will be showing up for the $50,000 Poker Players' Championship, but that's still about a week away. There's no denying the fact that Ivey is missed at the tables, and he's arguably the only player who will be able to catch Phil Hellmuth with gold bracelets won. In Ivey's absence, though, Hellmuth has gone on to win No. 14, and he continues to charge on in hopes of landing No. 15. Ivey is widely considered the greatest poker player in the game, and he's still a young 39 years old, so his absence seems to bring up rumors as to whether or not he cares about WSOP glory anymore. Ivey's last WSOP result was in last year's $10,000 Main Event where he finished 430th for $25,756. He also won bracelet No. 10 last year in the $1,500 Eight-Game Mix event. Another big name who has yet to be seen this summer is John Juanda, owner of five WSOP gold bracelets. Most recently, Juanda cashed in the 2014 Main Event, scoring 293rd for $33,734. His most recent win in a WSOP event came in 2011 when he topped the stacked field of the $10,000 No-Limit 2-7 Single Draw event for $367,170. Like Ivey, another man with 10 WSOP gold bracelets is Doyle Brunson. Brunson hasn't been around the 2015 WSOP yet, but he's been actively playing cash games at Bellagio and ARIA. Brunson has been very open that the grind of poker tournaments just doesn't suit him these days, so he's an underdog to make many appearances, if any, this summer. Other big no-shows alongside Ivey, Juanda, and Brunson in people's minds are Patrik Antonius and Gus Hansen. Then you've got the man many paint as the one responsible for igniting the poker boom, Chris Moneymaker. We all know Moneymaker to play in the Main Event every year, but we've yet to see the 2003 WSOP Main Event champion playing any bracelet events this year. The Hollywood Poker Open Championship Event is coming up on June 26 at the M Resort, and Moneymaker is an HPO ambassador. That should bring him to Las Vegas, but we're still waiting to see him at the WSOP. Moneymaker's last cash in a WSOP event came in 2007 when he took 233rd in a $1,500 no-limit hold'em event for $3,888. The man Moneymaker beat to win the 2003 title was Sammy Farha, and he's always a fan favorite that has yet to make his debut. Sticking with WSOP Main Event champions who are absent from the 2015 WSOP, Johnny Chan still isn't here. He's been over in Macau with Ivey, but the 1987 and 1988 champion is notably absent. Maybe we'll be seeing him arrive with Ivey in a week's time. In the midst of Phil Galfond winning his second gold bracelet, we're left wondering where other online superstars Viktor Blom and Tom Dwan are. Then you've got German superstars Ole Schemion, Philipp Gruissem, Tobias Reinkemeier, and Igor Kurganov that have yet to appear. Fabian Quoss is here, but the other four aren't. It'll be interesting to see if they arrive for the $500,000 Super High Roller Bowl at the ARIA that takes place in a couple of weeks. What other big names are missing from the 2015 WSOP that you'd like to see in the mix? Let us know in the comments section below!